It’s a new semester here in Maryland and we like to do things right so the first day of Tuesday/Thursday classes started with a two-hour snow delay. This didn’t impact me since the English Composition class I am teaching doesn’t run until later in the afternoon so it was business as usual for me. I dusted off that scant inch of fluffy white snow and carried on organizing myself for another 4 1/2 months of being a teacher and a student. I’ve been teaching for a long time but I still get nervous on the first day of class. There’s all sorts of tricks of the trade for creating a classroom culture from scratch but teaching is still part alchemy: will they like me enough to buy into what I’m selling? Can I turn this group of strangers into a cohesive, communicative band of critical thinkers? Is Mercury in retrograde? Because I have 15 weeks to get them from Point A to Point B and I gotta tell you it’s always a crapshoot. So, that was on my mind, but even more on my mind are the classes I am going to be taking: my final semester of Baking and Pastry. My capstone courses. The litmus test courses: Advanced Pastry, Intermediate Cakes, and Specialties, Showpiece and Chocolate. The syllabi are longer; the bar is higher. Or, maybe I am being over-dramatic, as usual, but I don’t think so. I can tell just by the way the Course Outlines are laid out that we’re meant to be firing on all cylinders (Mmmm hmmm, I’ve read all the Course Outlines already even though our classes haven’t met yet. If you’ve been reading this blog you can’t possibly be surprised by that.). The books are gorgeous. And I’ve actually been waiting to take Chocolate and Showpiece since I got here, so I’m really looking forward to that. 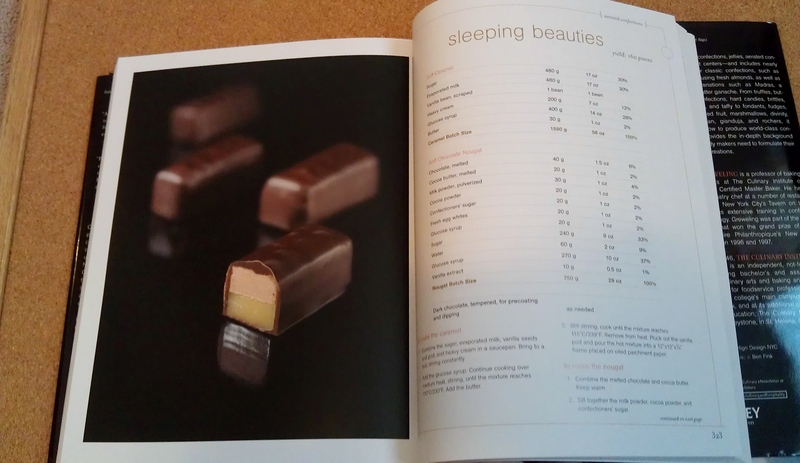 Although I’ve never cared much for eating chocolate myself, I fell in love with the idea of opening a hot chocolate bar almost fifteen years ago — so much so that I bought books devoted to hot chocolate recipes and drafted plans and menus in my Planning Notebook after the section on crepes and before the section on humble cakes. (I’ve been planning baking businesses for a very long time.) I even made a point in my younger days of going to Cadbury World when I was in England, the chocolate shops when I was in Belgium, and Hershey’s Chocolate World in Hershey, PA to see this industry that is chocolate. 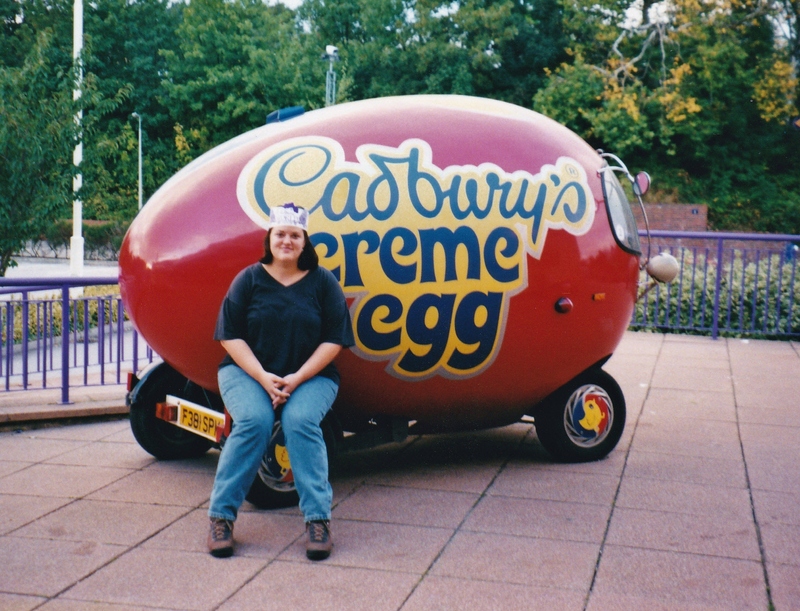 Cadbury World, England, 1997. My host was puzzled by my request to go here. Clearly, I never opened that hot chocolate bar. I went to graduate school and started teaching instead. 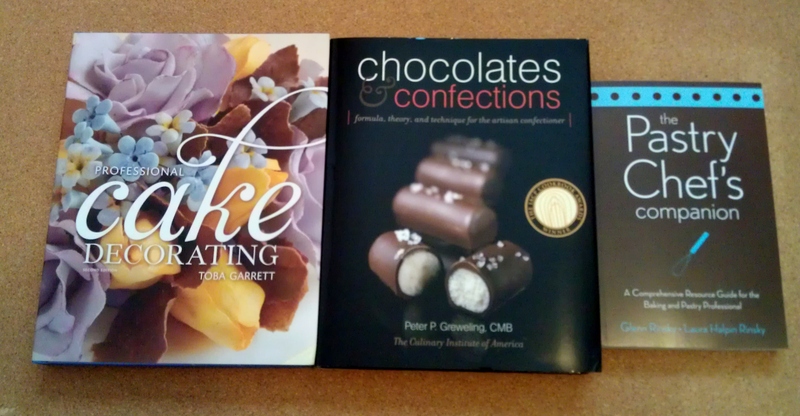 Then, about five years ago, I again became very intrigued with chocolate as a medium — so much so this time that I actively went out and tried to cultivate my chocolate palate. 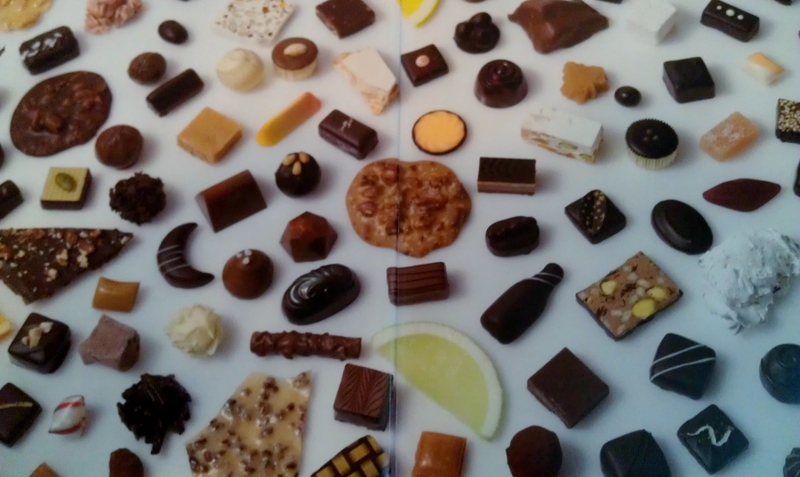 Yes, I tried to teach myself to like chocolate. And I did, to an extent. The whole world likes chocolate so I figured it behooved me to figure out what the deal was so that I could trust my judgment when making chocolate things. It was working with chocolate the last time that got me into home coffee roasting, as a matter of fact, including the hunt for the elusive Poppery II Popcorn Popper, the vintage home popcorn popper which doubles as the coveted home coffee roaster, but that’s a story for another day. The elusive vintage Poppery II. I found this one in a thrift store along the coast in Northern California. 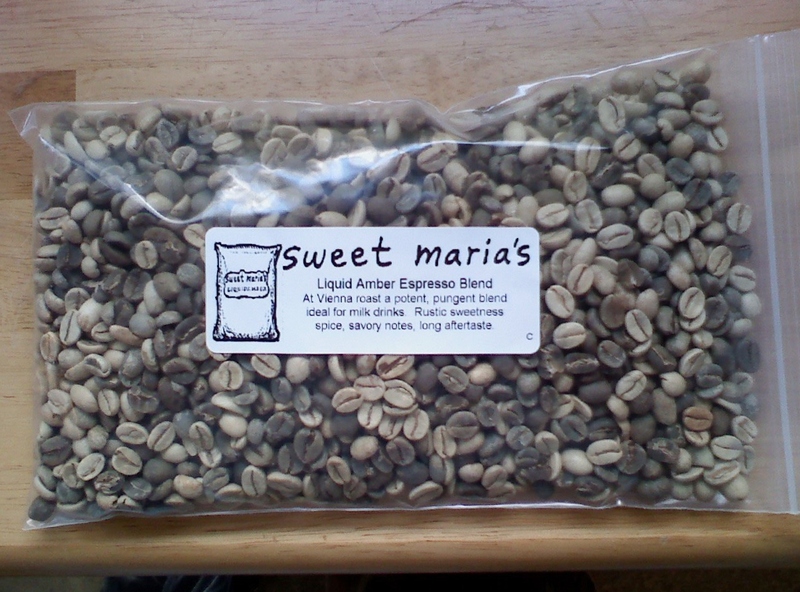 Sweet Maria’s sells all kinds of “green beans” through mail order. Or, you can walk into their warehouse in West Oakland and buy them off the floor like I did, but that was a little awkward. In any case, it turns out that chocolate is kind of a trip, so this class — and the other classes, too — should be pretty cool. Stay tuned to see what we make. 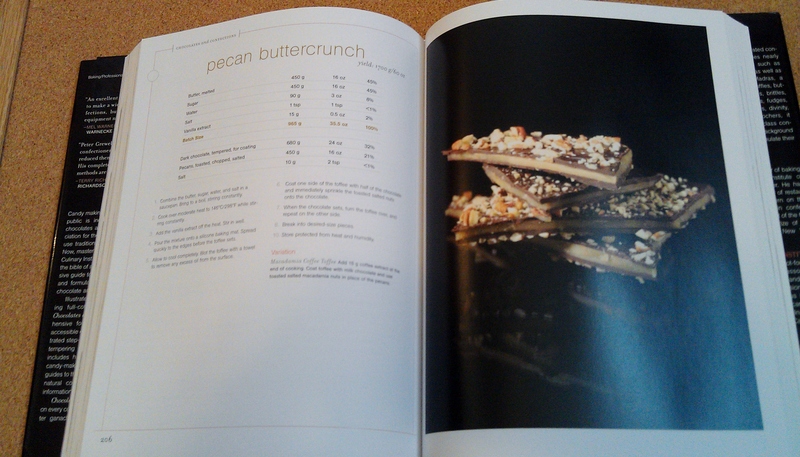 Will it be Pecan Buttercrunch? I’m on semester break from culinary school unwinding from Fall semester (crazy town) and gearing up for Spring semester (prediction: even crazier). This will be my fourth, and final, semester of my program, and it’s going to be a biggie complete with 12 hour baking lab days (Advanced Pastry! Intermediate Cakes! Showpiece and Chocolate!) and long, long nights compliments of the two English composition sections I will be teaching again, and a bit of work I do for a local environmental nonprofit. So, my breaks are spent revising my syllabus and pulling materials — all the things that teachers do between sessions when others are imagining them sitting around eating bon bons and watching daytime television. Even so, between semesters, I make a point of traveling home to California for a week or so. It’s good for me to see my friends, work a little bit if I can (I’m a state credentialed substitute teacher), and, perhaps most importantly, I get to reconnect, albeit briefly, with the Northern California food scene. This energizes me like nothing else. Being back in the thick of Where Food Is Happening is like a psychic caffeine transfusion. I soak it in and feel the light energy buzz tingle down to my fingertips when I see all the new places that have opened since I’ve been gone and read about what’s coming next. A week in the San Francisco Bay Area is like a Foodie boilermaker. Energy buzz notwithstanding, it’s always a little surreal being home. You know how it is; you’ve been gone but when you come back it feels like you never left except for the fact that you did, in fact, leave and life here has been going on without you. And, in 7, or 4, or 2 more days you’ll leave again and in the space of a 6 hour flight you’ll be back in a whole different piece of your life that none of those other people you just spent time with know about because they live 3,000 miles away and are busy leading the life you just kissed goodbye. On the other hand, coming home is super great. Every time I come back to California from somewhere else I recommit to it. It’s always a welcome sight; it’s always the right place to be. There is something about this place that relaxes me. The view panning out across the hills? The way the roses bloom, hardy, against the bright, cold winter sun? The thick, gray blanket of fog in the summer? The Campanile? The mudflats? San Francisco sitting across the bridge like a fable? Or maybe it’s the people: a strange, certain, passionate, particular people, Californians. I don’t know. All I know is that it works for me. I can’t imagine ever being bored here in landscape or endeavor. This is all a long way of saying I dig it. I just think California is tops. And as beautiful as other states can be and as important as it is to be close to family, there’s something to be said for being home. But, for now, while I am here in California as visitor, my two cats, Puddin’ and Sox, have to hold down the fort back in Maryland. I’ve always wondered what they do while I’m away. Previously I have assumed they run around like maniacs scrambling throw rugs and pulling each other’s fur out if the state of the house upon my return is my deductive guide. Turns out, as this photo, snapped by my fabulous cat-sitter who dotes on them without reserve, shows they lead a sedate, philosophical, culinary lifestyle when forced to fend for themselves. Sometimes a book title or two will be pulled forward a bit, suggestively. Every once in a while a book will be flat out sprawled on the floor when I return although I confess I’ve never taken the hint. 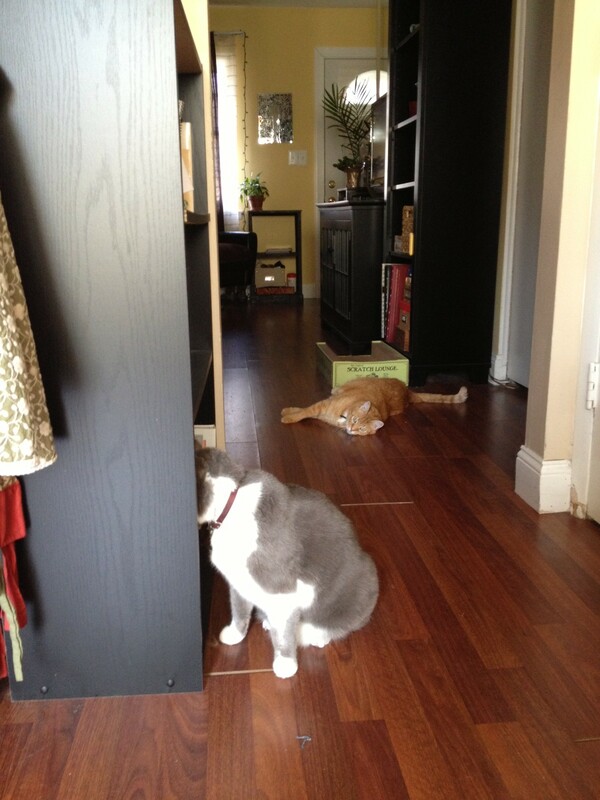 Here they are this time, passing the time of day: Sox consults the cookbook bookcase while Puddin’ relaxes next to his cardboard lounger. They get that from me. I wonder what he’ll make?